You can’t have a list of classic cars without giving a spot to the one that started it all. 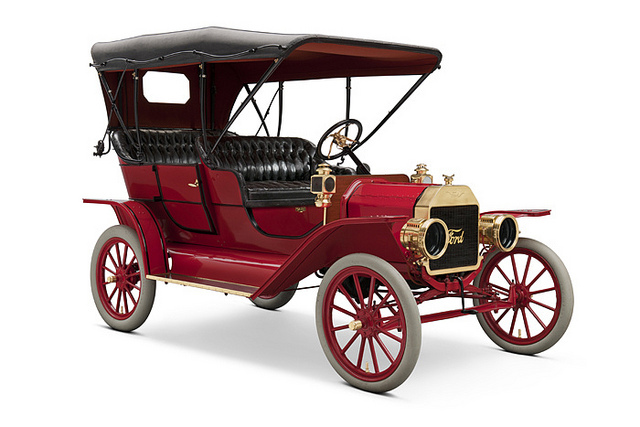 The Ford Model T (also known as Tin Lizzie) is regarded as the first affordable automobile. The Ford Motor Company’s efficient fabrication and use of assembly line production drastically reduced production costs, which allowed the Model T to be sold for less. Prior to this cars were seen as a luxury and out of reach for the common man. The original Model T had a 2.9 liter four-cylinder engine that produced 20 horsepower, with a top speed of 40 to 45 mph; plenty fast for it’s time. It may not seem like much nowadays, but if it wasn’t for the Model T, we wouldn’t have all the shiny toys we love to drive today. 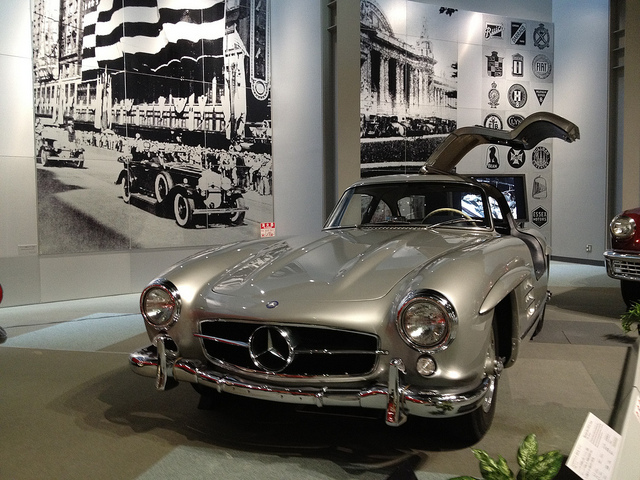 The Mercedes-Benz 300 SL was the first iteration of the SL-Class grand tourer. It was based off the Mercedes-Benz company’s successful racer, the W194. What made the 300 SL unique were the distinctive gull-wing doors, first ever production fuel injection, and the world’s fastest top speed (at the time) of 161 mph. The engine was derived from a DB 601 V-12 engine, used on the high powered Messerschmitt Bf 109E fighter from World War II, Mercedes raised the output from 175 horsepower to 215 horsepower, almost double to horsepower of the original type 300’s 115 horsepower. The technological firsts, gull-wings doors, and low production numbers makes the 300 SL one of the most collectable Mercedes-Benz models, with prices generally in the $1 million to $2 million dollar range. 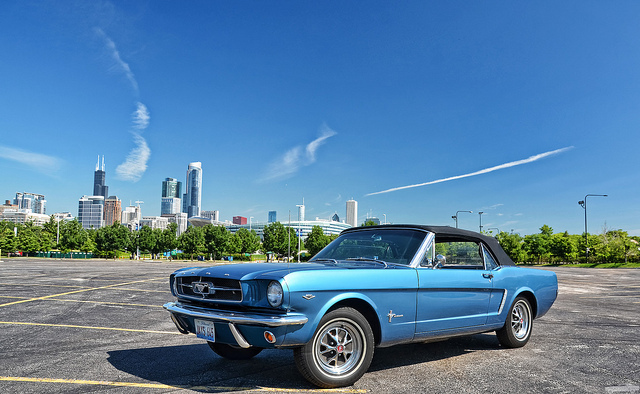 One of the most iconic American muscle cars, the Ford Mustang created the “pony car” class of American automobiles. The Mustang inspired competitors like the Chevrolet Camaro, Pontiac Firebird, and the Dodge Challenger. The two-seat sports car design usually was abandoned when designing the Mustang, in part due to the low sales of the Thunderbird. A four-seat design was used to broaden appeal, with plenty of room for the front bucket seats, and a rear bench with less space than was common at the time. To gain publicity for the vehicle, a Mustang was used in the James Bond film Goldfinger. The original price for the Mustang was $2,368. After only three months on the market, the original sales projection of 100,000 units was surpassed and Ford knew they had a hit on their hands. The Bugatti Type 41, also know as the Royale, is a luxury car built by Ettore Bugatti. Weighing 7,000 lbs and measuring 21 ft in length the Royale is one of the largest cars in the world. Ettore Bugatti planned a total of 25 of these cars, sell them to royalty and have it become the most luxurious car ever. Unfortunately, even royalty wasn’t willing to spend $30,000 during the Great Depression. Bugatti was only able to sell three of the six he built. The Royale had a near 15 liter engine built around a single huge block, making it one of the largest engines ever made. The engine produced between 275 and 300 horsepower. Grinding the engine valves was considered regular maintenance, and to do this required removing and disassembling the massive motor; and you thought changing your own oil was a hassle. 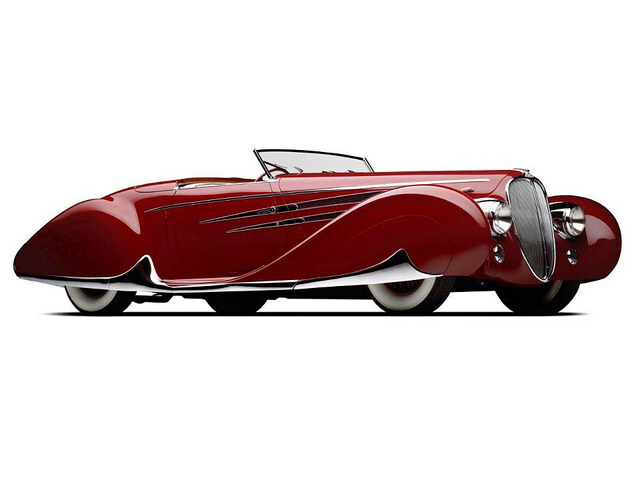 First released at the 1938 Paris Motor Show, the Delahaye 165 Cabriolet is a gorgeous supercar. Built on a production version of the Delahaye V-12 145 race car chassis, the 165 Cabriolet received accolades for performance and looks. A second 165 Cabriolet was built for the 1938 New York World’s Fair where it was displayed in the French Pavilion, but without the motor. When World War II broke out, the vehicle’s ownership came into question and it remained at the US customs office for six years, eventually being released and made available at a California showroom with a V-8 engine. In the 80’s the original engine was tracked down in Germany and reunited with it’s owner. The restored 165 Cabriolet debuted at the 1992 Pebble Beach Concours. 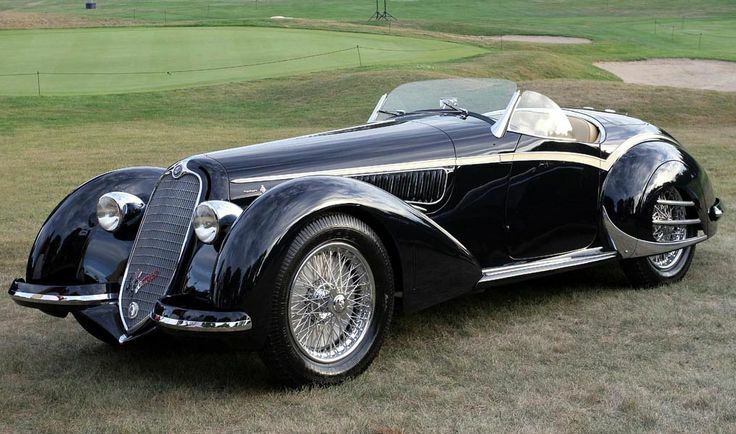 The Alfa Romeo 8C 2900B is the consumer version of the 2900A race car. The cater to comfort and reliability, the engine was detuned some to increase the motor’s life expectancy. This reduced the horsepower from 220 to 180, but still had the twin supercharger setup found in the 2900A. The 2900B was available in two wheelbases: the Corto (short) measuring 110.2 inches and the Lungo (long) which measured 118.1 inches. 32 2900Bs were built in total, 10 in 1937 and 22 in 1938. 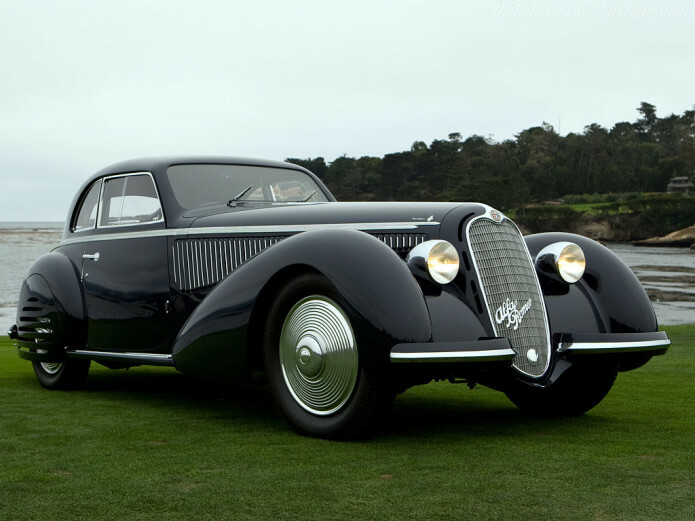 An 8C 2900B was auctioned for $4,072,000 by Christie’s at Pebble Beach, California. This was the tenth highest price ever paid for a car at auction at the time. 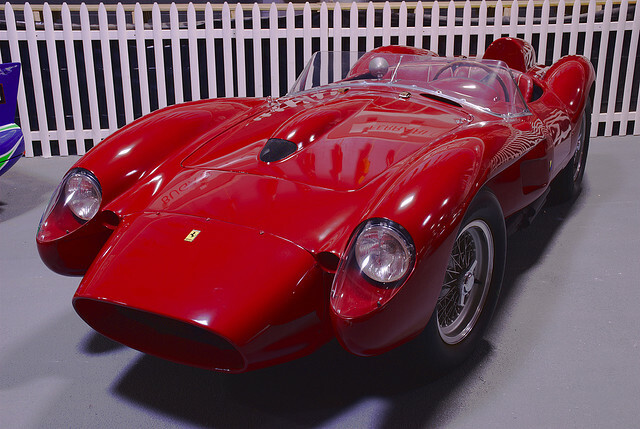 Built from 1957 to 1958, the Ferrari TR, or Testa Rossa, is the second most valuable Ferrari after the 250 GTO. A total of 21 Testa Rossas were built, 2 factory cars and 19 customer cars. a 1957 250 Testa Rossa sold for $16,400,00 at auction, a world record auction price for a car when inflation is ignored. The name Testa Rossa means “red head” and was given to the vehicle due to the red valve covers the engine had. The body styling was considered unorthodox, with the front fenders visually separated from the central body design. This model was often referred to as the “Pontoon” TR. After 1958 the Testa Rossa was given a more aerodynamic “coke bottle” design. The 1959 Facel Vega HK500 was a renamed, upgraded Facel Vega FVS. At first equipped with a 335 horsepower 5.8 liter V-8 from the FVS, the HK500 soon received an upgrade in the form of a 360 horsepower 6.3 liter Chrysler V-8 with a top speed of 147 mph. Initially disc brakes were optional, but became a standard shortly after production began. The HK500 featured a panoramic windshield, power steering, and power brakes.The interior was luxurious, and of exceptional workmanship. The dashboard was aircraft-inspired, and one of the first to feature a middle console over the gearbox. The rear seats folded flat to provide a luggage platform and additional access to the trunk. 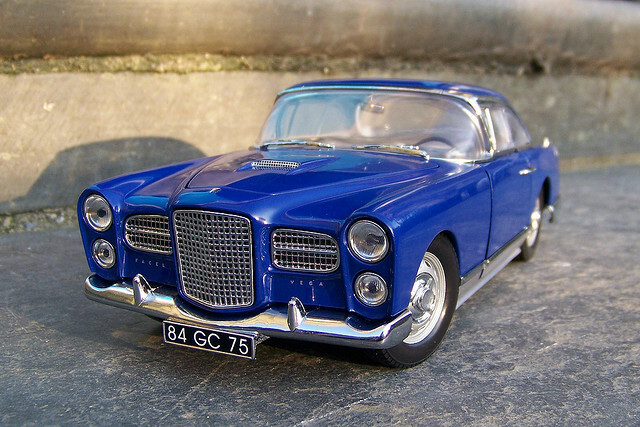 A total of 842 HK500 were produced before it was replaced by the Facel Vega II. 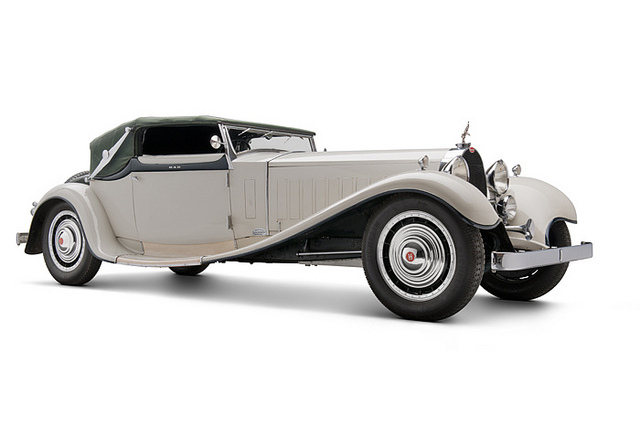 The Phantom was Rolls-Royce’s replacement for the original Silver Ghost. 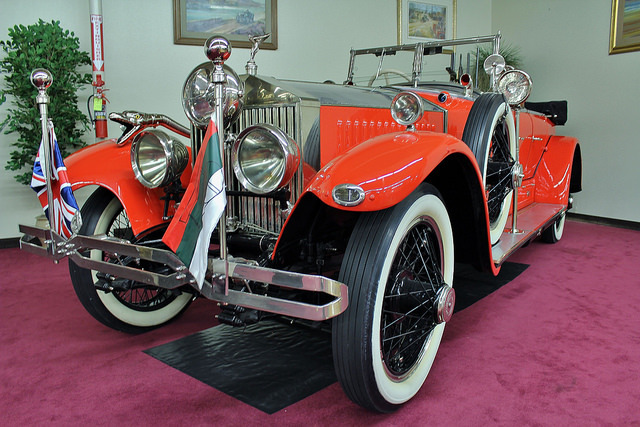 Introduced in 1925 the Phantom I was the second 40/50 horsepower model built by Rolls Royce. To differentiate between the two, Rolls-Royce renamed the old model “Silver Ghost” and the new model “New Phantom.” When The New Phantom was replaced by a new model it was renamed Phantom I and the new model named Phantom II. The Phantom I used a pushrod OHV straight-6 engine, constructed as two groups of three cylinder with a single detachable head. In 1928 the cylinder heads were changed from cast iron to aluminium, this caused the Phantom I to be plagued with corrosion problems. A grand total of 3,509 Phantom Is were produced, 2,269 in the UK and 1,240 in the US. The Jaguar was produced between 1961 and 1975. The car featured a combination of beauty, high performance, and competitive pricing. Most cars at the time had drum brakes and mediocre performance, but the E-Type was equipped with disc brakes, an independent coil spring rear suspension, rack and pinion steering, monocoque construction, and unrivaled looks. 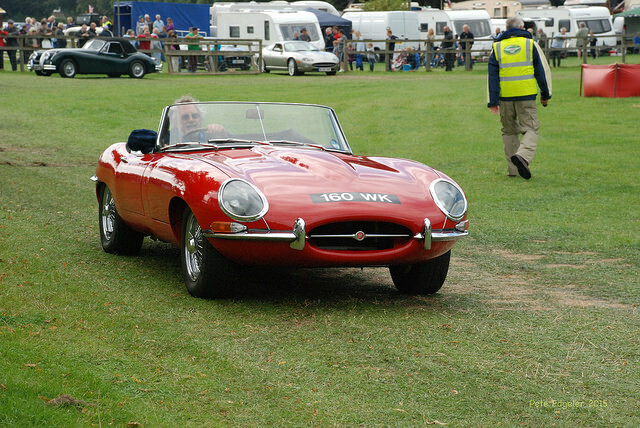 The E-type was based on the Jaguar Type-D racer. The Series 1 had a triple carburetted 3.8 liter six-cylinder engine producing 265 horsepower, with a top speed of 150 mph. The interior featured leather bucket seats, an aluminum-trimmed instrument panel, and a vinyl console. Optional extras included chrome spoked wheels and a detachable hard top. A total of 38,419 Series 1 Jaguar E-Types were produced before being replaced by the Series 2 in 1968.